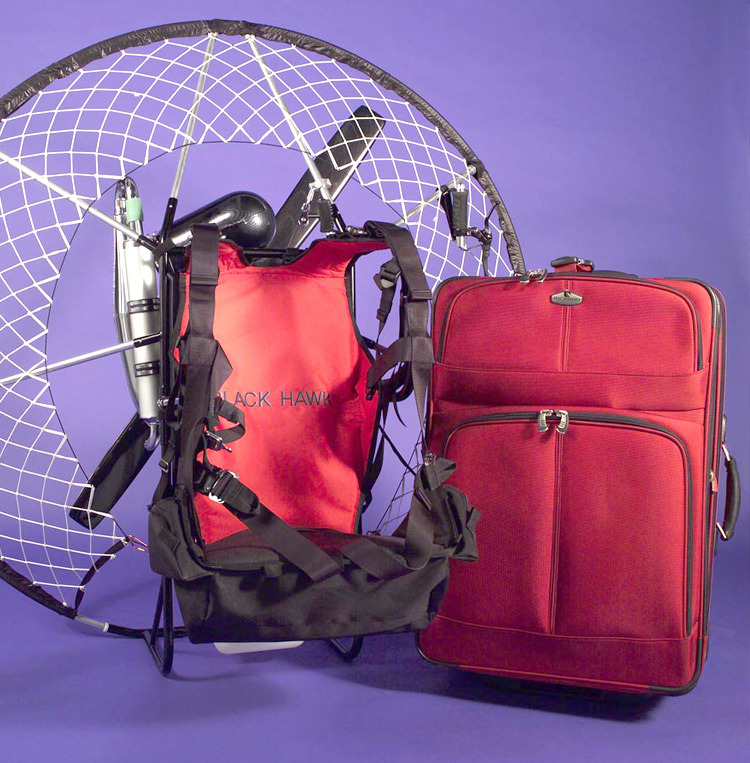 Limited time Price $7995.00 USD with Blackhawk Core 30 Glider! 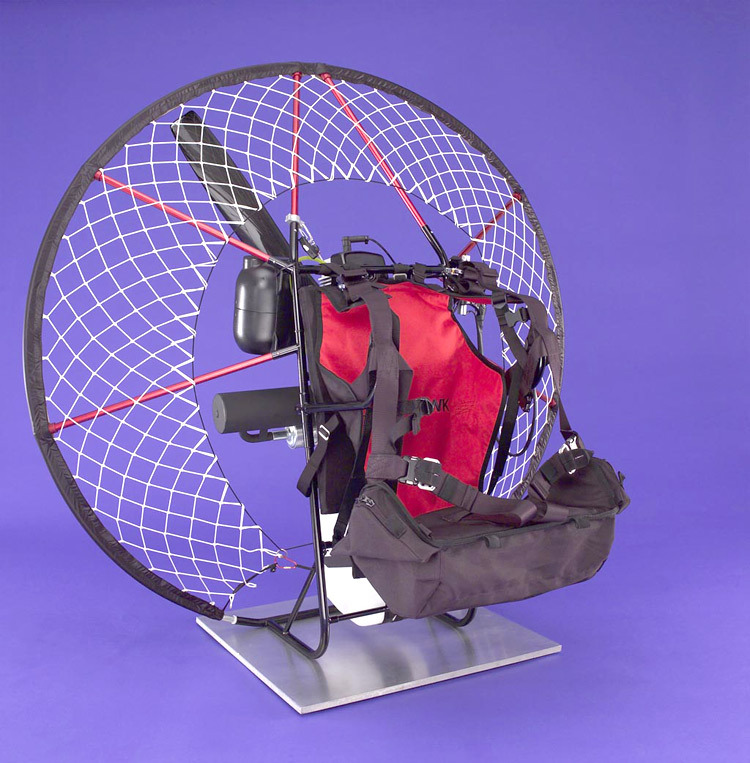 Normal price $7500 USD without a glider, saving $1500 as a package deal. 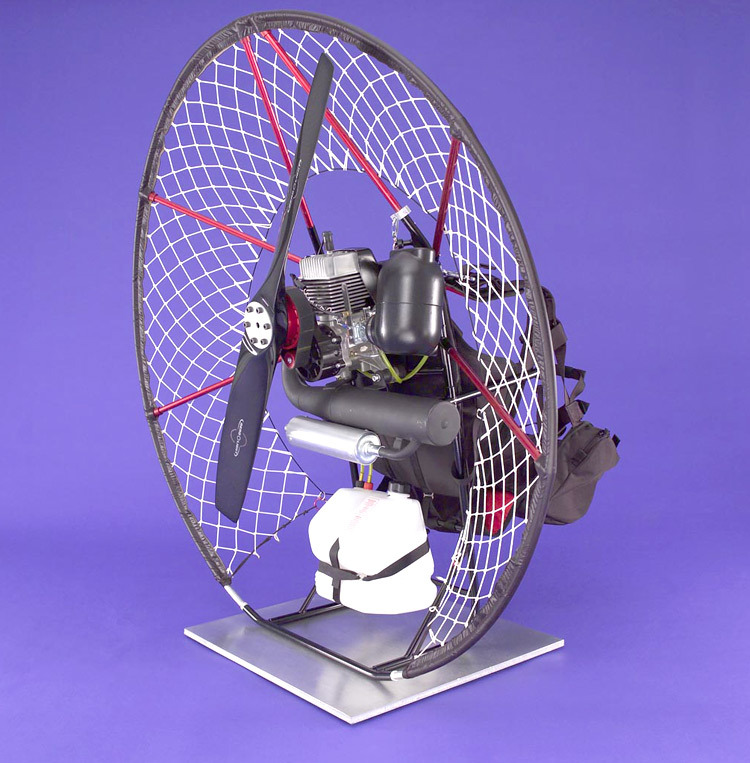 Engine: 125 Lite : 18hp, 135 to 145 lbs of static thrust, pull start only, easy starter in air or ground, comes with a automatic clutch, intake silencer, exhaust silencer, forced air fan cooling, higher pitched sound but still pleasant, complete paramotor ready to fly 42 lbs, vibration low to medium, dependability excellent, cosmetic's excellent, ease of repairs or adjustments excellent. 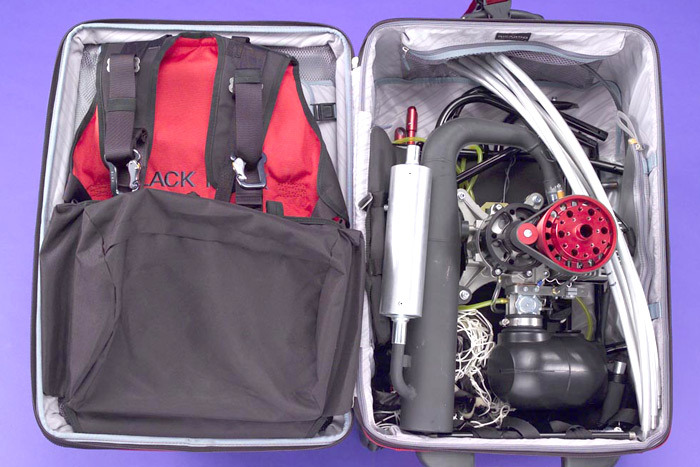 This engine Recommended for all pilots who weigh under 230lbs at Sea Level. 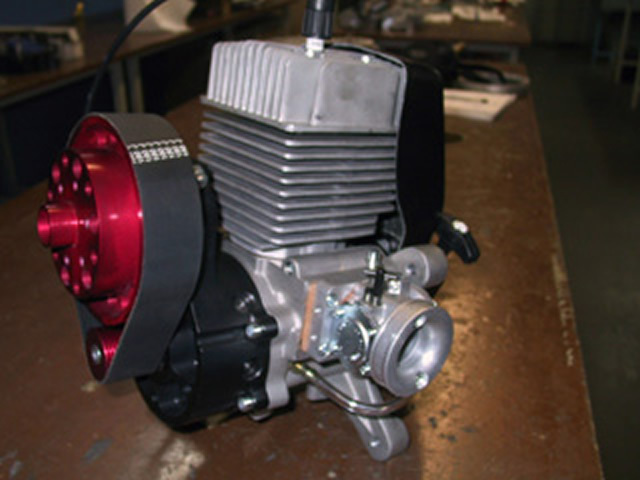 Wings are extra cost, prices are for complete motor assembly. 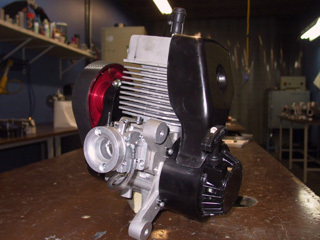 Click here for more pictures from the FlyBC Paratoys Quad Album showing the new improved MZ34 engine. 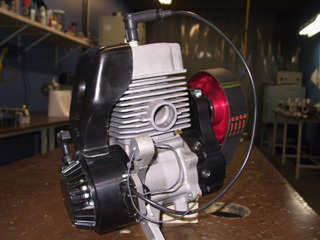 Heavy Duty Cage for more prop protection, additional cost is $295 USD when ordering a new BlackHawk motor. Actual unit and color scheme with RHINO cage. What you get with a Paratoys Unit and how fast it goes together! Ozone Team PPGer in Korea! This could not be done in Canada! At least without a few tickets written.